Gm Qin is a renowned Qinway innovator and spiritual master from China. 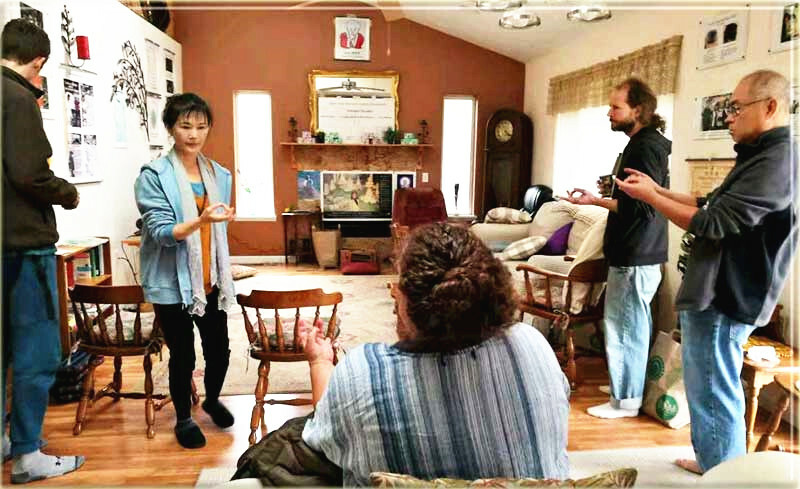 She has created many healing miracles in China and America with a perfect unique system. 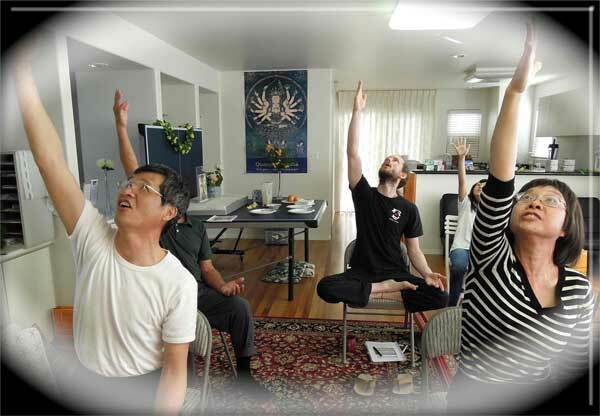 The system’s primary program is Real Healing 3.3D Retreat, which has achieved miracle changes in many students’ lives. The spiritual energy system spreads quickly through word of mouth. 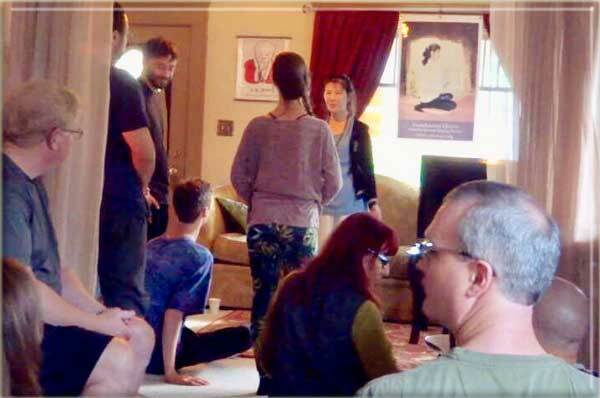 As all Qinway retreat students knew, the essence of the guaranteed special abilities & rejuvenation retreat program is not only the on-site development of special abilities and speed of the removal the disease root effect, but also provides the students with up to 108 days individual remote healing & direction from Grandmaster. 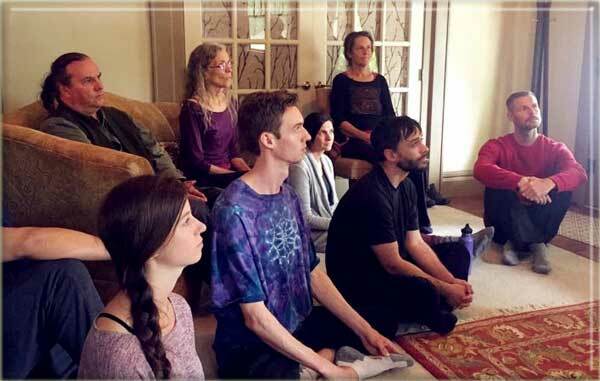 Because of the true occurrence of the remote healing, many students achieved their dreams of rejuvenation, removed the root of disease, opening their energy channels. Therefore, the remote healing is the most powerful & effective program to benefit the karma people from Qinway three high spiritual system. The energized signal products act as a vehicle to carry strong remote healing signals. The principle is when you eat or use the mountain food or object, the signal will come to your body directly and raise the energy quickly, at meantime to push out the toxin! It is a great opportunity to experience the healing energy through the energized signal products, that's the key point and request you to change your spiritual mind. 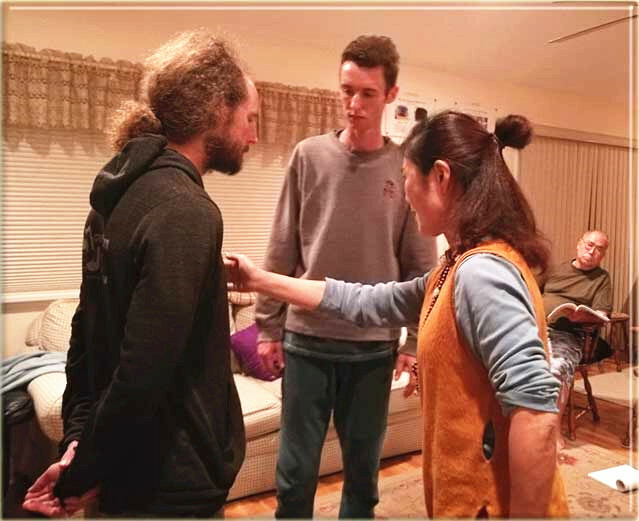 I am brand new for the retreat, I did not believe that I could stop medicine and get healing and with natural technique. Due to many healthy problems and the special karma, I'm attending the retreat. It's unbelievable! I bravely stopped the west medicine during the retreat! But my blood pressure is very good and even better than previous with the medicine! It's a miracle and I am so happy about that. And I had lost 28 lb after the retreat! After One Month: Lost 28lb. 1) The seriously snoring problem causes serious life-threatening, I had surgery in the hospital before but the snoring came back and relapsed soon. But after retreat the problem was completely gone, no longer snoring, no potential danger any more! 4) For the spiritual energy level: calm mind and peaceful, really appreciate Grandmaster's teaching for me to understand a lot of life truth, including spiritual growth in this life and next life. I never thought about these before. Eyed deeper Qi consciousness state. Better clarity, insight and Wu. High mystical experience. Deep connection with Dao. I lost my words to express myself. I was so worried and hardly to control my emotion before. Now I learned to elevate it down. I feel so peaceful and calm. Special Ability On the Spot! Balls from Universe & Nature! During soul travel time, I saw snowy mountain, trees, ocean, fields, sky, everything moved fast. 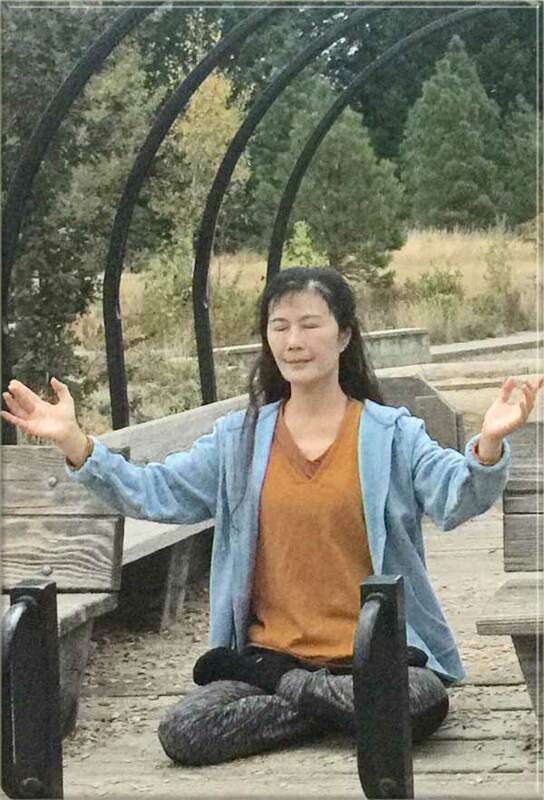 During soul travel I felt that I traveled over the land and sea, then I went to another dimension, I saw beautiful colors, Quanyin Buddha, and Jesus. I flew over a high tree with big circle.... Then I saw a mountain with misty low clouds, very green, I heard a voice say" come to the mountain". Immortal water cleansing time I felt pressure, but it was a beautiful peaceful feeling, I felt light. During 'Open third eye' program I felt there was a strong strong pressure like headache, a burst. 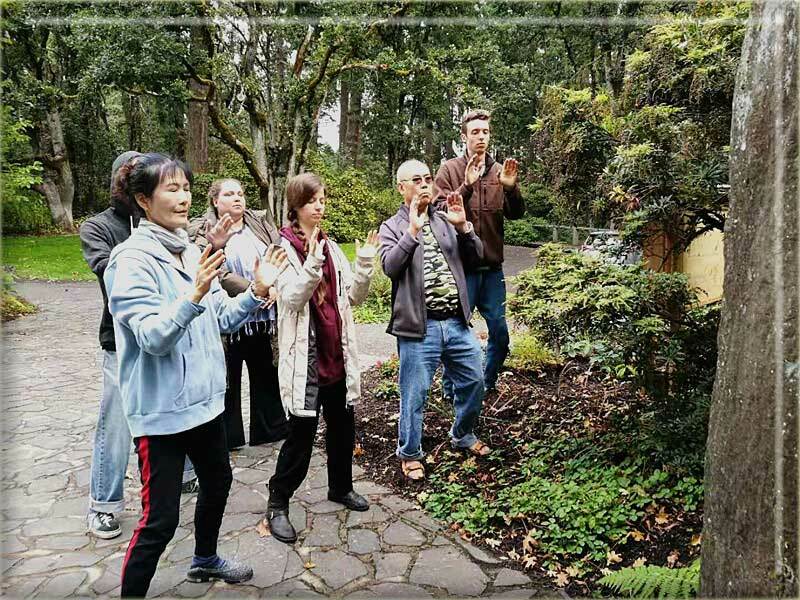 The immortal walking qigong brought me high energy! During communicating with trees session, I felt very strong Qi, strong connection with trees, almost brought to tears while communicating, very grateful for this experience! 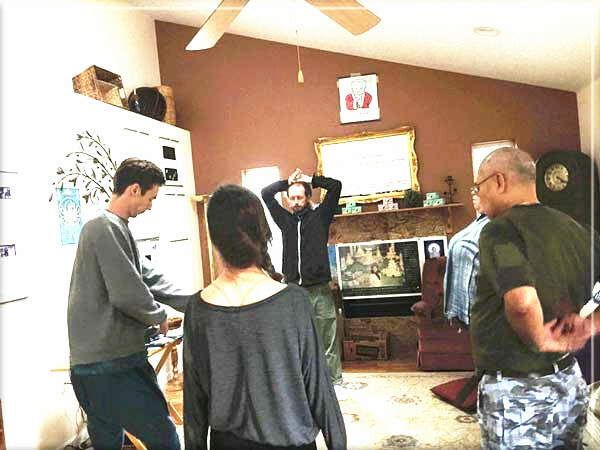 The immortal walking qigong opened to more of the universal energy. I focused on absorbing the beautiful universe energy with energy inhale and expelling all negative energy and that brought a sense of peace. 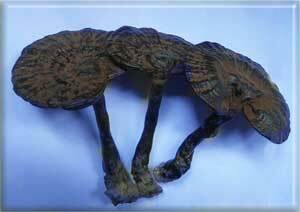 The crown infusion experience is very potent, felt like crown of Qi around top of head, third eye vibrating, healing energy through whole body. The Wuji needle gift is so potent, I felt strong sensations in hand pulsating the electric, I still feel very strongly where I placed needle. Very thankful for this gift! My the crown infusion experience is so beautiful! I saw Gm has a ball of energy above her head, a huge energy giant ball, then she was surrounded by light. A steam of light came down into her crown and then streams of light connected to each student! Very interesting! During the develop student remote diagnosis session, I was able to diagnosis my classmate stomach problem by feeling a sensation on my palm. My classmate was able to identify my condition as well. Wonderful! I was able to remove the pain on my classmate left hip with the immortal grasp. My classmate conducted the healing on my knee. I feel comfort and warmth. You Can Be the Next Successful One, to Start Rejuvenation Now! See Below the Retreat Students Comparable. Free 930 Global Remote Healing Just Finished with Terrific Feedbacks. Do You Wish to Do Individual Healing? Click Here. Powerful annual 930 remote healing just finished, there was truly a magnificent experience for many people from all over the world. 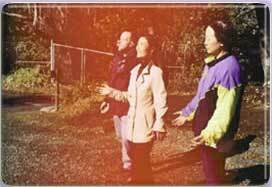 The testimonials demonstrated the Qinway powerful high spiritual energy system can most benefit the karma people. See Some of 930 Event Feedbacks in This Year. On 9/30 my head became numb and dizzy, especially when I imagine the immortal waterfall, my whole body started shaking for about ten minutes. My feet and hands became hot, very comfortable. My brain seems very peaceful, then I saw many people, even my past dog, but his face was not very clear. In the middle my hands were shaking to receive the energy. The whole process was very comfortable. At finishing time, my head does not feel numb any more. Thank you, Grandmaster! I went into a deep sleep and slept through the transmission. When I woke up later I felt like my lower Dan Tien area was packed with super strong bioforce energy. I circulated the energy in the Yang-Yin microcosmic orbit to distribute it throughout my body. This strong energy influx I received will help keep me healthy and mentally clear as I progress in my endeavors. All my 930 experiences over the years have been extremely powerful. Thank you GM. As ever in best Qi, Gratitude and Love. For me, the high energy infusion into the Hundred Meeting Point began over an hour before the preparation time. I must have needed that extra time! So every cell in my body was vibrating by the time the ceremony even started. The Immortal Water came as a gentle, warm trickle into my Heart. The energy infusion continued after I closed the ceremony and I was blessed with a deep sleep. Thank-you for all you do in service to others! During the 930 healing tonight I felt deeply relaxed and warm...like I was wrapped in a warm cocoon of beautiful energy. I could feel the strong energy coming during begining of 930 time. Promoting saliva in the mouth during the mid of 930. Then I feel very sleepy during the last part and fell into sleep for about 20 min. Trough 930 remote healing event, my shounder feel relax and less tight. After 930 remote healing event I feel energetic and not tired. I feel the immersion of qi continuing from last night 930 Remote Healing. This is very happy! It feels like I have been embraced with a blanket of qi taken away from ordinary scatteredness of attention. I am noticing the detoxing has started, with lot of energy in my head and head achy feeling, however this is ok.....as the immersion of qi is what is most noticeable. .....so the mechanics of the detoxify were happening and I wasn't that hungry. I feel like now I am getting in touch with what the Bigu really is! Thank you very much! Great News! Powerful Free Group Healing Sucessfully Finished! Do you want to taste the universal energy? 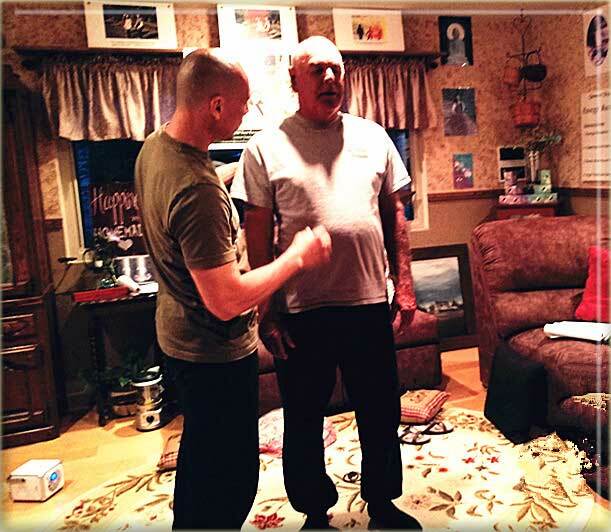 The free group healing will bring you a very special experience! Huge Sales to Celebrate Holiday Season, Up to $262 Off ! It's the Time to Use Energized Healing Products to Heal Yourself! To Hear about How Rare These Healing Products Are! I always like results which are measurable, after taking energized food my measured cardio Fitness level increased from 6 up to 7, and heard rate lowered from 76 to 69. My lung capacity increased and I need less time to walk on the top of high mountains, specially my sperm was only 3%, but after use Gm energized products, there is very surprise things happened...Read more about Kurt's story. The energized products really helped me， I felt so much joy and peacefulness during the remote healing. I still feel the calmness carry over to the next day. 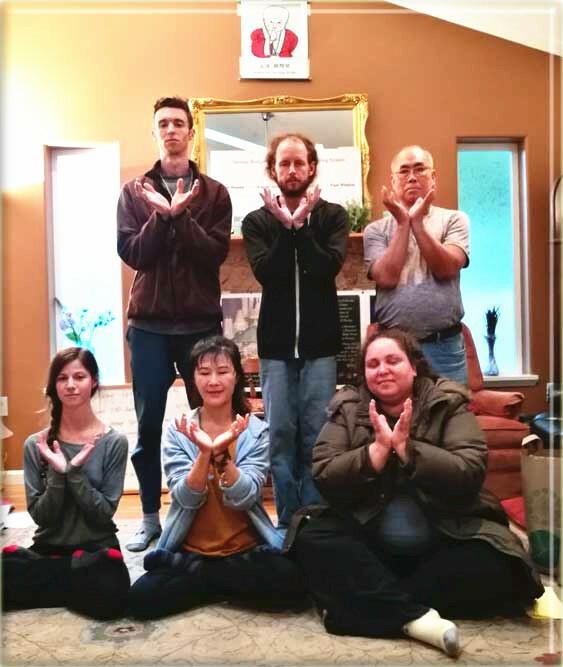 I am extremely pleased to make a donation to support the qinway unique healing Retreat Center. Thank you, Gm, for your compassionate healing! Thank you very much! 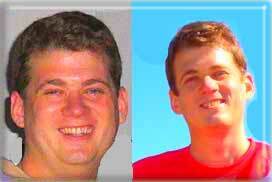 I could really feel the energy on the left side of my body..the energized products has real help me. It was very strong around 9:30 pm. It felt like rain falling. Excellent! Energized Products has really helped my 6-year-old daughter improve her weak stomach system. She eagerly asked for the tasty "Hawthorn Powder" herself when we met Master Qin! 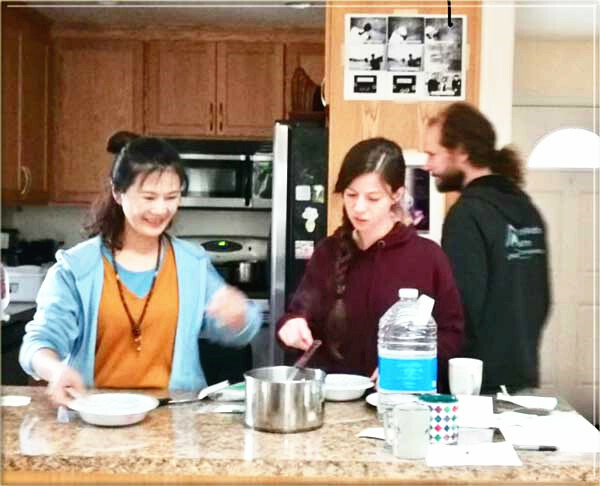 "I finally received the energized mountain food. At last...how happy I am! The Yellow Essence is super energetic (plus taste also) ...Gm Qin, thank you for making that special food available for us". "I missed the energized food and herbs during the first part of the bigu, and I noticed a big improvement in my energy level when I started taking the energized food and herbs." Note: The products are personally research & bring back by Gm Qin from deep mountains in China, which are then infused with universal high energy to further enhance their vitality by Gm. Most Value for Learning with Healing Signal! 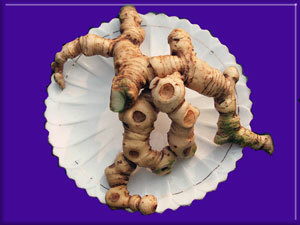 Click Here to Get More Self Healing Products. The Remote Healing Represents Gm as a Transmission station to Connect High Being Systems. Many Karma People and Students have a Lot of Appreciation with Great Feedbacks in Last 20 years. Read More Important Details & Join Now‍ to Get Real Help! Amazing! 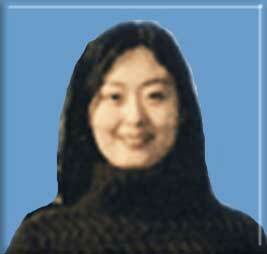 Gm Qin did remote healing across the Atlantic Ocean for my sister. Aloha Gm Qin! I had a wonderful session last night, I could feel Master Qin's energy arrive very soft, then very strong, beautiful! I could feel it move through and around my body, to my legs, my ears, cleaning my organs, some past mental experiences. I was like a child seeing things simply and clear! Phase II I lay down, went into a trance like state then fell asleep! I woke up calm, less pain, more at peace! 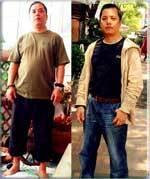 After finished individual remote healing with Gm, I got big benefit and lost 1.5 kg weight. I feel much more relaxed in the shoulder and neck area. I felt a lot of sensations like spontaneous movements, saw pictures from Guanyin, a little pain, slime coming out, vibrations and more stillness (Dec. 21, 2014). No matter what state or country you are in, Individual remote healing is now available from Gm Qin. When she enters a healing state of consciousness, powerful remote healing signals can travel instantaneously across space to you. Gm Qin's remote healing is just like rain in Spring, and sunshine in Winter. Whether your meridians are sensitive or not, you will experience the power of universal spiritual energy. Of cause, you have to believe and understand the principle. *Read More about Powerful Remote Healing Feedbacks, Click Here. Great Energy Reward, Qualified Long Term Volunteers Carrying Strong Energy Healing Signals! Virtue Energy Carries Fundamental Healing Signal! Learn Qinway Perfect System & To Earn Great Stabilized Virtue Energy. Make Your Life More Valuable! Deeply appreciate the students/volunteers, your recovery & healthy growing up will become beautiful flowers & forest, and encourage more people to take the path to the natural healing and the kingdom of free life, includes yourself & your families of next generation. *Qinway shares with you a health enhancement method, not medical advice. 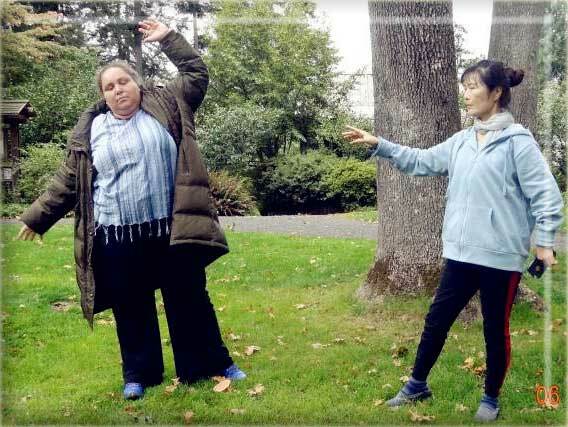 The Qigong instructions and services presented are not intended as a substitute for medical counseling or treatment. The Retreat results are guaranteed as long as you follow Gm's instruction & homework.